A moving and powerful science fiction novel of love, revenge and identity in a totalitarian world. Patrick Edwards lives in Bristol and has never grown out of his fascination with science and the future. In 2014, he decided to give writing a go and graduated from the Bath Spa Creative Writing MA with distinction. 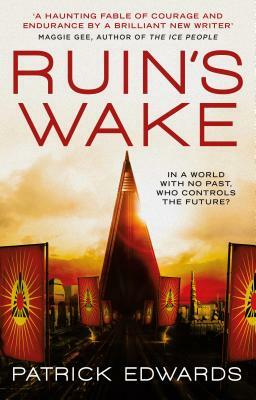 His first novel, Ruin's Wake, was inspired by the works of Iain M. Banks and modern-day North Korea.